The average auto body shop in Capitol Heights, MD take pride in quality repair work would feel slighted if their work was described as average. When automobile manufacturers are increasing their quality while fighting off competitors, shop owners are practically in the same situation. There are a lot more collision and auto body repair shops these days, with varying degrees of workmanship. Even if one has the most up-to-date equipment, diagnostic tools and software aids, quality repair work comes down to how a repaired vehicle looks and drives when it leaves the shop. This is where the skill and dedication of the shop’s technicians come to the fore. But as a shop owner or manager, do you take efforts to maintain a competitive edge for your business? Do you provide opportunities for your employees to improve their skills? Organizations like the National Institute for Automotive Service Excellence (ASE) have training programs that will give your employees the edge they need to compete in the business. And with automakers certifying specific shops to ensure that their products undergo quality repair work, there is a need for shops to step up their game in order to be certified by automobile manufacturers. Auto body repair shops are everywhere. One can find such a shop that’s just nearby. Some of these shops are really impressive to look at while there are those that are a real mess. However, all of these shops offer the same thing and that is repairing your car. The only thing for you to do is to look for one that can repair your car with the same amount of tender loving care that you have for it. But the question is, how do you find this shop? Auto body repair is not limited to knowing just the skills to effect collision repair. The best auto body specialists are totally dedicated to their craft and bring with them a passion to perform a thorough job each and every time. This means aligning gaps perfectly and ensuring that body lines and curves follow the original shapes to a tee. When you bring expertise and passion to this kind of work, it’s only a matter of time before you, as a business or an individual, begin to turn away customers because of the reputation you will have built with your excellent work. Auto body repair is a very common practice with cars, but can also be a very complicated process. Accidents usually cause a lot of damage that you can see on a car, but can also cause damage to the body of your car that you don’t notice. This is why you should go to a professional body shop for any type of body damage that is done to your car. Auto body repair is also very affordable because shops can usually use smart and economical methods of fixing the body of your car without breaking the bank. The automotive industry of repair and body work is ever evolving and many new methods of fixing a car is discovered every day. Auto body repair shops have the potential to become a “green shop” in communities all around the world. First of all auto repair instead of replacement is great alternative to throwing the old pieces and parts of cars into landfills to sit forever. Many auto body shops have even begun recycling materials used on a day to day basis like card board, paper, and other such materials. Even old windshields can be recycled if there is no way to repair them. Also how they handle any chemicals that they may use and if they contain them so that they are not released into the environment. Also it can go as far down the line as to how they receive and manufacture tools and materials for their business needs. There is absolutely nothing wrong with taking the estimate a shop gives you and driving across town to another auto body repair place and seeing if they can beat it. In fact, many places are willing to lower their price if they know that you have really looked into it and found somewhere cheaper. Regardless, going to at least two or three shops and getting estimates from all of them will at least let you know that you’re getting a fair price on the work that you need done. Having a damaged car can easily skyrocket stress levels, especially if you have never been to an auto body repair shop. A whirlwind of anxiety and questions roll around your head. Where is the best place to go? Or, perhaps you need to replace the hood of your car because it no longer closes tight. 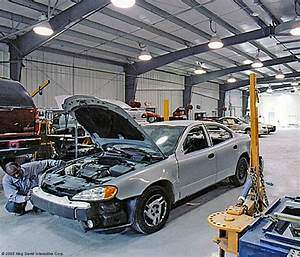 Maybe you are just seeking a new auto body repair shop for future maintenance and repairs. There are dozens of shops in your area. So, how do you choose? It is wise to find an auto body repair shop before you actually need it. Having the time to research shops, as opposed to rushing around and taking your car to an unknown shop, will save you time, money, and help you make a more informed decision when the need for auto repairs arise. Like other professions, auto body repair needs to be studied as well as experienced for one to be known as a specialist in this field. However, having experience, though it plays a huge role, is not enough and, as such, an aspiring auto body repair specialist need to be properly trained by professionals who know every detail that a car has, its parts as well as how they work. Once you know that your car is in good hands, you’ll be at ease with your car being repaired. Aside from this, you are paying them so you should expect the best work that they can do to your car. One more way to know that the people at the auto body repair shop are indeed professionals is by the quality of the work that they do. Doing quality work means having a good reputation. To know how good a particular auto body repair shop is, ask around. The answer you get from people will make you decide on what repair shop to go to. Aside from that, you’ll also know how good this or that particular shop is. However, words won’t suffice so you should also pay a visit to these shops so you can see how good their work is. Ask the people there about the last car/s they’ve worked on and what sort of repairing they experts at since they might not have the repair service you need of your car. 4. You can then proceed to assess how the shop is being run. You can visit the shop and see how organized they are. If they are almost always busy, you may look for other auto body repair shop. When it comes to looking for automobile parts, there is always a quality auto body shop in Capitol Heights, MD you can trust but there are plenty of ways in which a person can arrive at the parts that they need. However, some of the ways are authentic and clean cut. But on the other hand, some of the ways that auto parts are obtained are downright dangerous. One example of this is buying used auto parts from a junk yard, salvage yard, or auto repair shop. All of these places usually sell used auto parts that can be used for various things when repairing your car. What’s even more scary, though, is the fact that automobile shops generally put used auto parts in a car that’s going to be repaired, too, just in order to save the auto repair place a little bit of money. But here are some of the dangers of buying used auto parts if you aren’t familiar with them. 1. The History When buying anything that’s used you rarely know the history of the product. The same holds true for auto parts, unfortunately. Consider that when you purchase auto parts from a junk yard you rarely know if that part has been through an auto accident and is a good enough piece to put on your car. Even though most of the auto parts that can be obtained through a junk or salvage yard are purchased at your own risk and without a warranty, there are some major risks associated with doing so. 2. Too Unreliable As mentioned, used auto parts can also be purchased from auto repair shops. The reality at most auto repair shops is that the used auto parts that are there are usually kept in one large pile in the back of the repair shop. If you buy a used alternator from the repair shop then how would you know if it’ll last? It is very possible that the auto parts that are purchased from a repair shop are no good, or else if they are halfway decent auto parts they may just break down the next week. The auto parts that can be obtained through an auto repair shop or a salvage yard are just too unreliable to justify buying. Of course, you may very well be offered a refund or exchange if this were to happen, but the best thing would be to stay away from used auto parts altogether. 3. Getting Ripped Off Another possibility, and perhaps the greatest one, is the fact that you are always able to be ripped off when buying used auto parts. Even if you don’t buy the used auto parts through a repair shop or a junk yard, if you do buy used auto parts through a private dealer then you always run the risk of getting downright ripped off. What is even more discomforting is the fact that you may never even be able to get a hold of the person ever again, too. In the end, it really doesn’t matter whether or not the part really does work or not. The fact of the matter is that buying used auto parts is just downright risky and dangerous. Even though millions of people engage in this practice daily, used auto parts should be discouraged! Repairing your automobile can always cause certain headaches that are just not needed. Even though there are professional car repair shops that will help you repair your car, they will also charge a pretty penny for the work that they do. In fact, most of the time the price that people pay for car repairs in professional shops does not come from the auto parts themselves, but is the labor charges that have to be paid. One great alternative to professional car services that repair your automobile is to do it yourself. There are thousands of individuals who dislike taking their car to auto shops, which is the main reason that they do most of their repairs themselves. On the other hand, if you don’t mind getting a little dirty there are always simple options of repairing your car yourself. Here are some of the more common jobs that need to be done from time to time and the auto parts that you’ll need for them. Changing Your Brakes This is a project that usually has to be done at least every other year. 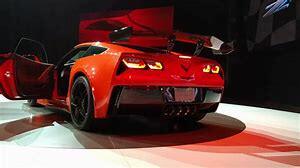 Of course, it depends totally on the type of car you have as well as how old the car is that you’re driving. But brakes get worn down just as any of the other auto parts do, and they need changing from time to time. Before you start out on the journey to change your brakes, the first thing that you’ll need is the equipment. But how much do you need to change? Many people simply think that they’ll need only the brake pads; however, it’s important to consider how long one has been driving with their brakes worn down in the first place. For a total brake change, the auto parts that one is going to need are the brake pads, discs, and calipers. Depending on whether or not the rotors are worn down also, you may need those. Also, most cars come with a set of brake shoe sets that you will need to replace as well as everything else on the list of auto parts that you’ll need. Changing Oil and Fuel Filters This is a whole other different job in itself and requires a different set of auto parts. Many professional auto repair shops will charge about $30 to perform an oil and oil filter change, and a fuel filter change costs about $50. However, one can do these jobs easily and simply by themselves with only paying for the auto parts. In order to change the oil filter the only thing that needs to be done is to buy the oil filter itself, which usually only costs around $5.00, and change it while you’re underneath the car changing your oil. On the other hand, the fuel filter is a little bit more expensive and the process is quite different because it actually usually involves taking off one of the wheels, but one only needs to pay for the auto parts that he or she will need, which is simply the fuel filter itself. There are plenty of other simple repair procedures that can be done all by yourself. It’s definitely not necessary to quickly run to an auto shop every time that every little thing needs to be done. By doing the work by yourself you not only save the cost of labor, but you also only need to pay for the auto parts that you use!